Ultimate uniform shirt, soft and durable with moisture wicking fabric. 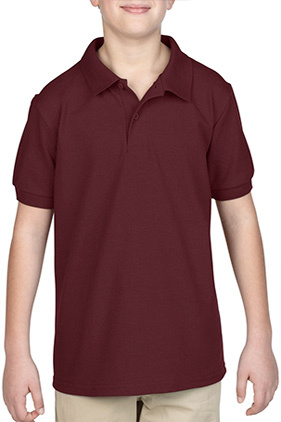 50% cotton/50% polyester 6.8 ounce pre-shrunk youth pique knit sport shirt. Clean-finished placket with reinforced bottom box and two color matched buttons. Contoured welt collar and cuffs. Double-need bottom hem. Quarter-turned to eliminate center crease. Classic fit. Pad printed neck label and double-satin shoulder label. CPSIA tracking label compliant.